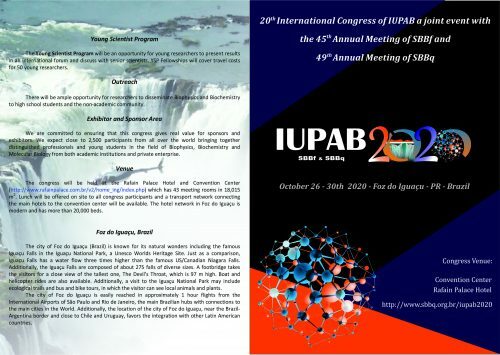 The 20th International Congress of IUPAB will be held in Foz do iguazú, october 26th-30th, 2020. 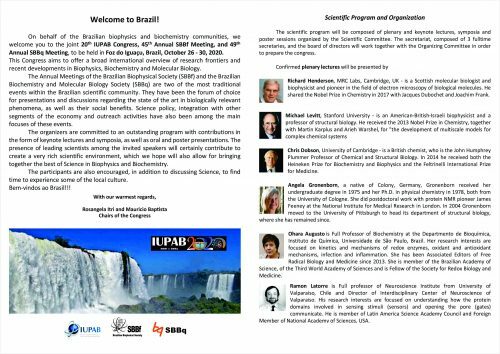 Also, at the 18th IBC held in Brisbane, Australia in August 2014, the General Assembly voted that the location for the 20th IBC will be Rio de Janeiro, Brazil in 2020. Bids to be submitted in pdf, with videos etc. 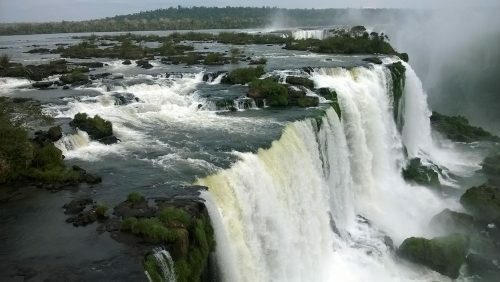 to be available by link to a specific website for the bidding country.